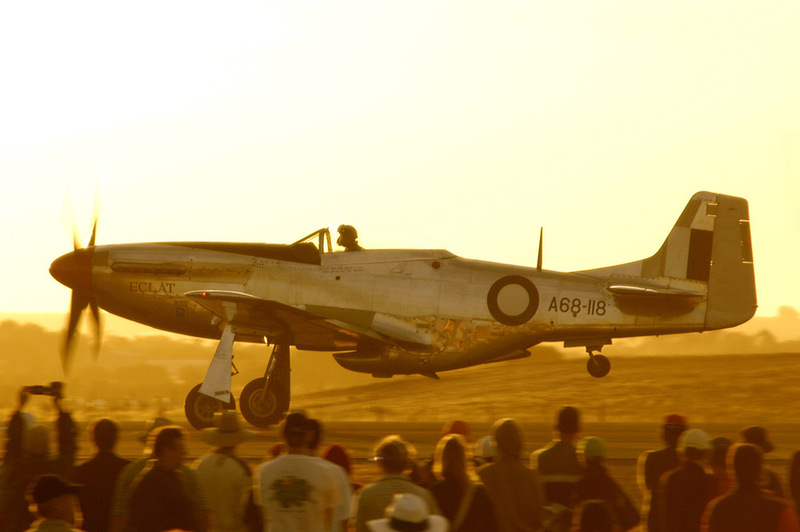 I was privileged to photographed the late Bill Wyllie's P51 Mustang, when his collection of warbirds was based at Jandakot Airport in Western Australia. The cameraship here was a NA AT6 Texan flown by Doug Brooks. 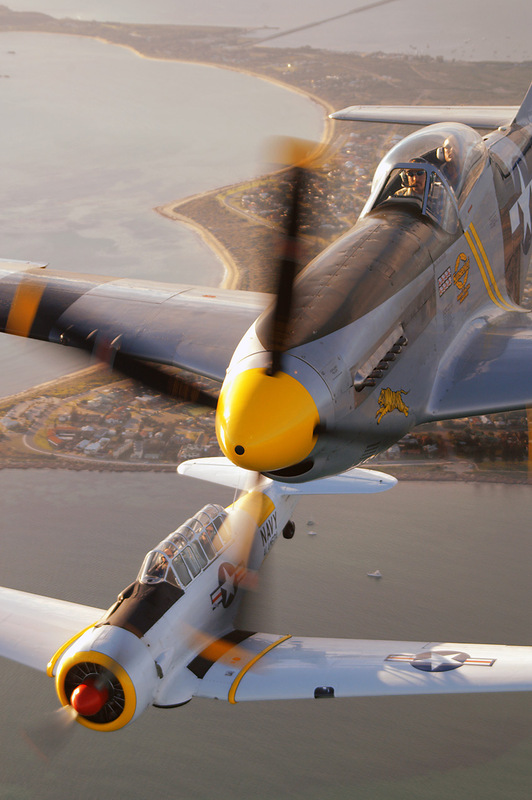 The P51 was flown by aviator extraordinaire Werner Buhlmann.